George Soros is one of the greatest investors of all time, there is no doubt about that. His family office, Soros Fund Management, continues to be run like a large hedge fund despite the fact that he returned the capital to outside investors back in 2011. Soros Fund Management’s day-to-day operations are overseen by its current Chief Investment Officer Scott Bessent, but Soros still remains engaged in the fund’s activities. 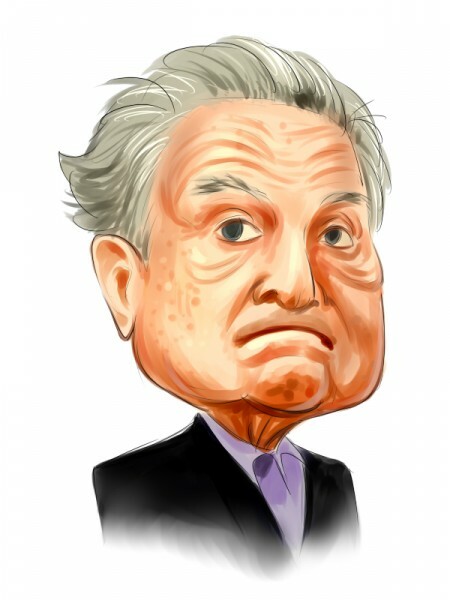 In the following article we will be discussing three mining stocks that were added to Soros’ portfolio during the second quarter. Billionaire George Soros has recently invested in two struggling coal companies: Peabody Energy Corporation (NYSE:BTU) and Arch Coal Inc. (NYSE:ACI). And his decision to go long coal puzzles most of us, as Soros once suggested that coal is the “lethal bullet” for climate change. Even more to that, George Soros has funded the Climate Policy Initiative (CPI) think tank that has been working on limiting the use of coal. Another stock that we’ll be covering is the gold mining company Barrick Gold Corporation (NYSE:ABX). But why do we track the hedge fund activities? From one point of view we can argue that hedge funds are consistently underperforming when it comes to net returns over the last three years, when compared to the S&P 500. But that doesn’t mean that we should completely neglect the hedge funds’ activities. There are various reasons behind the low hedge fund returns. Our research indicated that some of hedge funds’ long positions actually beat the market. In our back-tests covering the 1999-2012 period hedge funds’ top small cap stocks outperformed the S&P 500 index by double digits annually. The 15 most popular small cap stock picks among hedge funds also bested passive index funds by around 66 percentage points over the 34 month period beginning with September 2012 (read the details here). Let’s start with Barrick Gold Corporation (NYSE:ABX), which has seen its stock rise by 7.28% during today’s trading session. George Soros added a position in Barrick during the second quarter and reported owning 1.89 million shares valued at $20.11 million. The stock of Barrick is down by 21% year-to-date, but it seems that it is set for a rebound in the upcoming months. Indeed, higher gold prices have pushed the shares of Barrick higher, but analysts suggest more upside for gold in the future. Specifically, Commerzbank has recently expressed its belief that gold “appears to be in a bottoming-out phase”, but it might take a while until a more persistent recovery occurs. Barrick Gold Corporation has recently posted its financial results for the second quarter, reporting a net loss of $9 million or $0.01 per share, compared to a net loss of $269 million or $0.23 per share reported a year ago. Jean-Marie Eveillard’s First Eagle Investment Management, one of the major shareholders in Barrick Gold Corporation (NYSE:ABX), owns a stake of 40.38 million shares.